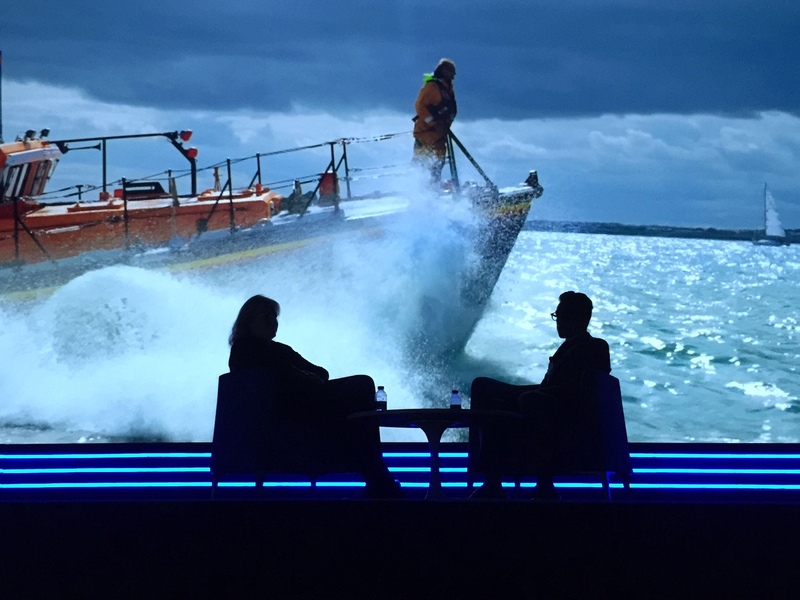 Factual was the focus for MIPCOM’s opening keynote session today: an “aspirational megasession” no less, as three of the most influential commissioners and producers in the world of documentaries talked about how the genre is evolving. Each was interviewed by Mayhart Media’s Ali May. The session began with Liz Dolan, chief marketing officer at Fox International Channels and National Geographic Channels International. Dolan talked about a new series called Breakthrough, produced with GE and featuring a range of Hollywood stars directing episodes about different scientific breakthroughs, from Angela Bassett and Ron Howard to Brett Ratner. “It is not a sponsorship deal: they really came to us as part of the production,” Dolan said of GE. “They also have a goal to just get science information out into the world… They want people to hear and see this show because it’s about amazing things that scientists are doing right now.” The show will get a global day-and-date launch: 171 countries around the world. “When you say things are epic, it doesn’t mean everything has to be this giant scale, that is has to be loud. It can be this personal journey,” she continued. 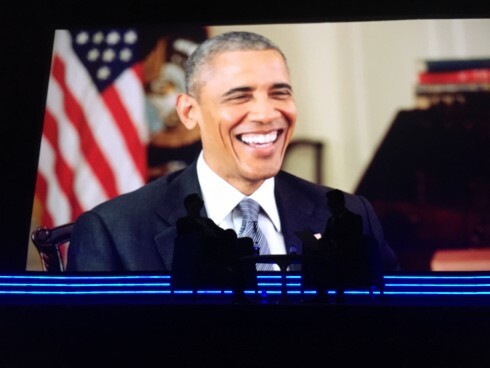 The show will debut in spring 2016, again as a global day-and-date launch. National Geographic is also working on He Named Me Malala, a portrait of 17-year-old Indian girl Malala Yousafzai, who was shot by the Taliban while returning from school on a bus, and has since become one of the world’s most respected campaigners for girls’ education globally. “We are so incredibly proud to partner with our sister company Fox Searchlight, which is doing the theatrical distribution, and then we will have it for television,” said Dolan. She admitted that Malala’s story has been “very well told”, but promised that the film will deliver new insight into her life both before and after the attack. “Malala’s number one goal in agreeing to do the film was that we had to get it to the widest possible audience of girls and their parents around the world,” said Dolan. The second speaker was Anthony Geffen, CEO and executive producer at Atlantic Productions, which has a storied archive of documentaries, and a grasp of technology, from 3D and 4K to virtual reality. “You’ve got to push the boundaries. It’s all about storytelling… but you’ve got to use the latest technology and the cleverest ways of engaging big global audiences in important matters and issues,” he said. He talked about the push in social media for the show. “I’m told it reached an audience who watched part or all of it, of something like 100m people in a week, which is staggering. Someone at Google told me that on the search engine, all the key words used in the interview – Great Barrier Reef, climate change – went shooting up,” said Geffen. There is also a virtual reality experience: “You can dive with the crew and the team when we are filming. And the whole thing in the future is coming to 3D iMax. So lots of multi-levels, which is great,” he said. “This is a big one.” Geffen remembered asking Attenborough what the one single place he wanted to go to next was, and said David didn’t miss a beat before saying the Great Barrier Reef. 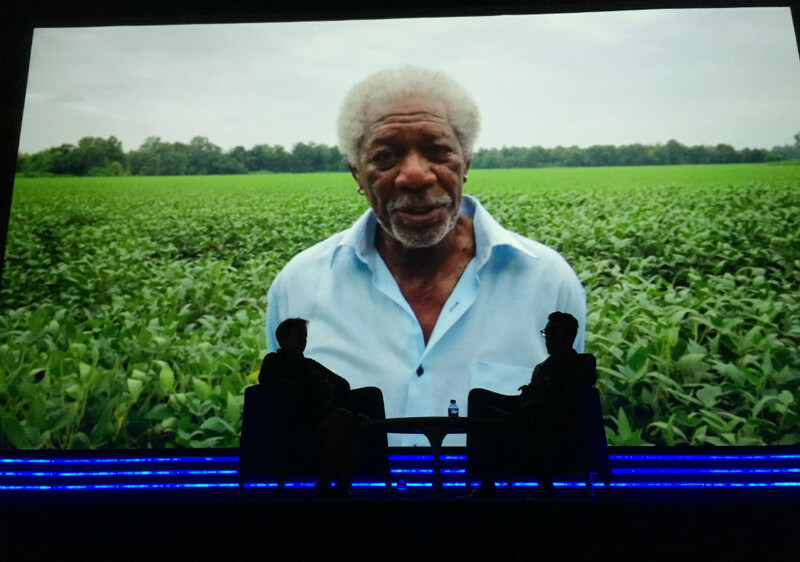 The project elicited a real passion from the 89 year-old filmmaker. “David gets transformed on location. David is about 35 when you’re filming with him. I shared a cabin with him, I can tell you!” joked Geffen. So what about virtual reality? Atlantic has a standalone VR business called Alchemy VR, which has deals with Samsung and Google already for content like David Attenborough’s First Life VR. “We wanted to tell full-scale stories. 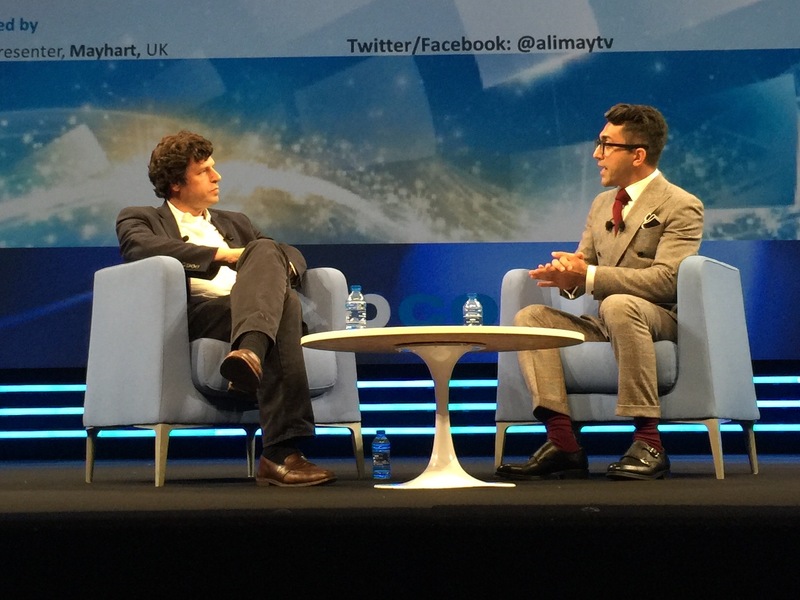 I didn’t just want to sit down on a street corner and see people in virtual reality,” said Geffen. 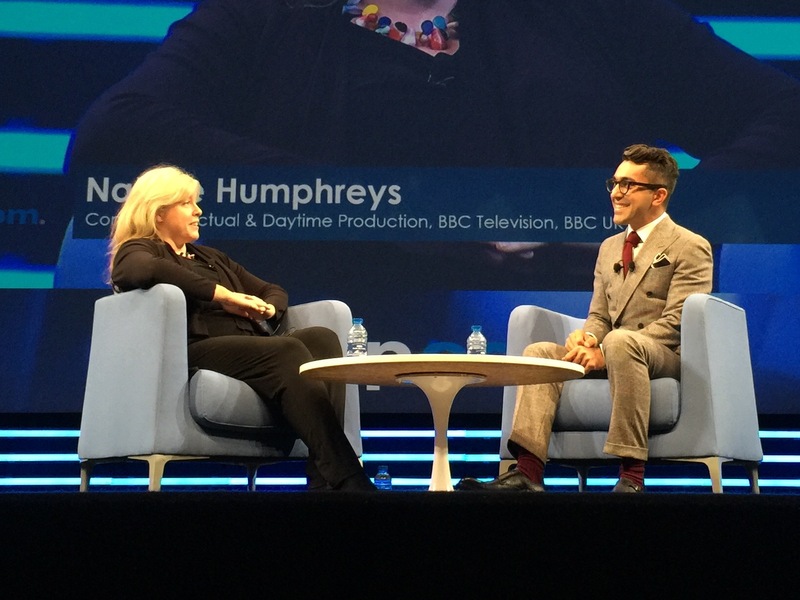 Finally, we heard from Natalie Humphreys, controller, factual and daytime production at BBC Television. May wondered whether the BBC is inspired by the drama coming out of companies like Netflix and Amazon when it’s making new documentaries. “Drama is the biggest market in terms of revenue. That’s just a fact. But there’s other things going on. House of Cards, the first season – 22 hours – cost $100m. For the same money we made probably 80 to 100 hours of TV which reached three quarters of the population of the UK,” she said. Is this the golden age of television? “It’s definitely the golden age of storytelling. I look at how my two sons consume stuff now. There’s no doubt about it: they still love big experiences, cinematic experiences or at home,” she said. The conversation moved on to the BBC’s natural history landmarks, and upcoming series One Planet. “We can’t quite say there’s only one planet that supports life, but we can say there’s only one planet that supports the abundance and uniqueness of life that we have,” said Humphreys, who said the BBC’s use of drone cameras has been a big step forward. She also talked about using military-grade thermal cameras capable of filming without any light at all – enabling it to track (for example) a leopard hunting in a city under cover of darkness, for the first time. One final question: what inspires Humphreys? “I remember as a young child lying on my belly in the front room watching telly: things like The Ascent of Man and Life on Earth. Big, big BBC factual,” she said.